My neighbor told me a few days ago that her son passed away suddenly. He was only 36. A co-worker and her family had to make the heart-wrenching decision to “put their dog down” recently. Should both be allowed to grieve? Call me crazy, but I think the above definitions describe perfectly how someone feels over the loss of a pet as well as over the loss of a human. In fact look at some statistics below. The first step in dealing with your loss and getting over it is to allow yourself to grieve. You didn’t lose “just an animal.” This animal was special because he was a member of your family, and research has found that the loss of a pet is just as painful as the loss of a human. The grief process, however, is the same — whether you are figuring out how to get over a dog’s death, a horse’s passing or the loss of a human being you love. How about Paid Pet Bereavement Leave? We’ve established grief is grief, for ALL of our family members, and companies currently offer Paid Bereavement Leave for family members. Well…a pet is a family member, so shouldn’t they offer Paid Bereavement Leave when you lose a pet? Here is a few quotes taken from an article “Companies Offer Paid Bereavement Leave For Death Of Pets”. Ice cream maker Ben and Jerry’s told KPIX that while they don’t have a formal policy around pet bereavement leave, the company would grant it as needed to those who have lost a pet. You need to take a little time to deal with the reality of what is going on around you. Employers are beginning to recognize that an employee in that kind of emotional pain may not be able to be very productive at work at all. So what now? As we’ve seen, some companies are starting to offer this, BUT this is something all companies need to do. Losing a pet is real, its painful, it isn’t something we get over in a day, we are not robots. Its a process. A day Paid Bereavement Leave is a start in the healing process. I‘ll end with a few questions for you and a link that goes to an article written by one person’s journey of grief over the loss of his dog: The Death of a Pet Can Hurt as Much as the Loss of a Relative. Does your company offer this benefit? Would you like to share about the loss of one of your pets? Feel free to share a picture of a beloved pet you lost in memory of them on my Facebook Page. I haven’t experienced the loss of a pet since my childhood dog passed away, but I still get teary eyed thinking about him. I have been getting pretty emotional writing this post and thinking about losing Cino someday. This entry was posted in Animals, Articles, pets and tagged animals, bereavement, cats, Dogs, grief, pet bereavement, pet loss, pets on April 29, 2017 by Animals Are Feeling Beings Too. Sweet Angel Bobo is in heaven now! Cody is lucky to have you! Do you have a picture of Angel Bobo you can share with me on my Facebook Page? It sounds good, that this exist some places, where you live. 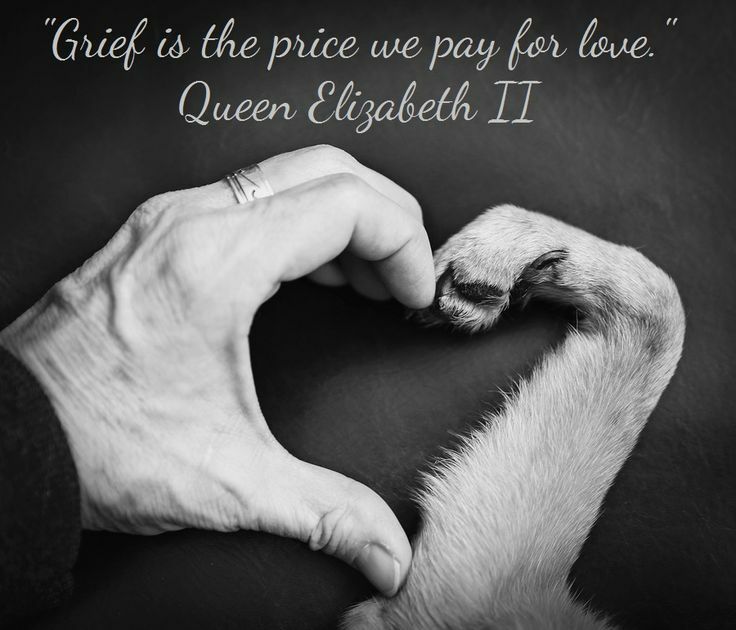 Grief is a long process, no matter if it is a pet or a human, we loose. I miss all of my friends, pets included in that list. Thanks for your comment. Our furry friends sure do grab our hearts, don’t they? I think it is ridiculous to even have to contemplate this either or most of the things I write about. To me this is all common sense, compassion, empathy, our responsibility as shepherds over the animals, and our duty as humans to respect others-even our bosses at work understanding and giving Pet Bereavement Leave. Losing a pet is devastating! Nobody can tell us how to feel. We lost our sweet Snickers on Feb 11, 2016. She died in my son’s arms. When we got her she was originally supposed to help me get over a cat I had lost but she attached herself to my son. 6 days later we lost my dad . He had lived with us for 10 1/2 years. We were his caregivers. When he moved in he had COPD. Then later on developed Alzheimer’s. He had been in a home for the last 4 months because it was really hard to take care of him. It has been a rough year. We got these two angel kitties that have helped with the grieving. Now we are slowly losing our Beagle named Lucy who just turned 15. She has heart problems (being treated) and is having a hard time with stairs. We have two other animals a cat that is about 17 and a dog that is about 9. They are doing ok right now. So sorry to hear about the losses and hard times you have been going through with animals and family (well actually animals are family) :). I will say a prayer for Lucy. If you are up to it and interested in sharing some more about your pets for one of my “Tuesday Tales” please let me know. You can check out the “Tuesday Tale” page of my blog and/or email me at animalsarefeelingbeingstoo@q.com. I have lost so many. Medical problems or old age. None of them are forgettable. Animals are far better companions than we humans will ever be. I lost my 31 year old husband three years ago so I’m familiar with grief, and sometimes I feel guilty for imagining my grief over the eventual death of my dog to be just as painful. I always asked my husband how I would possibly cope with the death of my Klaus, never once thinking that Klaus was going to help me through widowhood. But I know that my dog has been my one reliable and steadfast support system, and I’m terrified and anxious at the idea of not having him around forever. I am so sorry for your loss. I understand the fear of losing a pet! Life can be hard, but I lean on God to help me through. Thank you for an insightful post. I have loved and lost many pets in my life, dogs, cats, horses, and more. I cherish the memory of each of my precious sojourners. The pain of loss, the grief is deep and devastating. I also lost my only child. There is no word, no name for the pain. I don’t make a comparison. I honor the loss, the life, the pain, and the journey. We all must grieve in our own way, and honor the grief of others. I am so sorry for your losses. I hope my post could help, at least a little.